Even though China’s Xiaomi manufactures several products, ranging from smart bicycles to rice cookers, it’s mostly known for its line of budget-friendly mobile devices. Now, at a press event for the launch of its new Redmi Pro smartphone, the company has revealed its first entry in the laptop market: the Mi Notebook Air. The laptop comes in two sizes, a 12.5-inch model and a lighter, more powerful 13.3-inch version. The larger laptop ships with an Intel Core i5-6200U (base 2.3 GHz, turbo up to 2.7 GHz), a 256GB PCIe SSD with expandable SATA SSD slot, 8GB of DDR4 RAM, two USB 3.0 ports, a Nvidia GeForce 940MX GPU, and a 40Wh battery that’s said to last 9.5 hours. 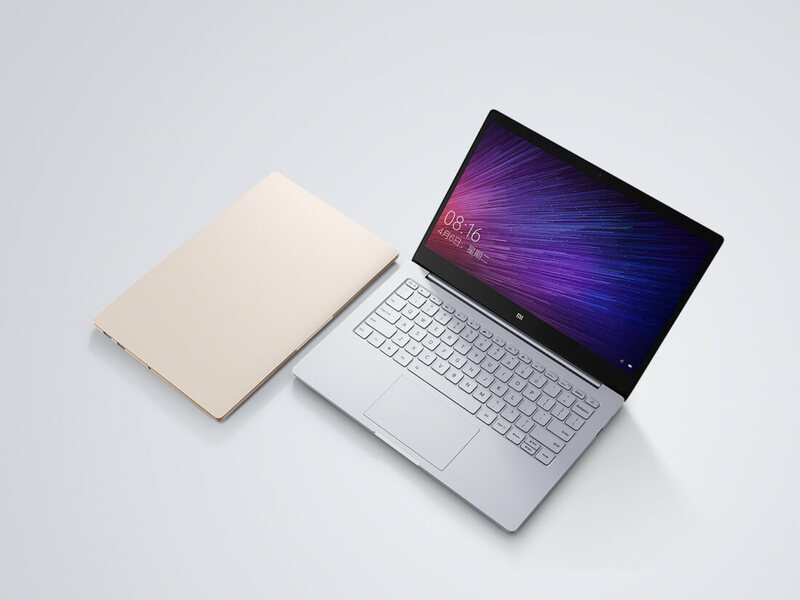 As you can tell by the name, Xiaomi is looking to take on the MacBook Air with this device; at 14.8mm thick and weighing 1.28kg, it’s both thinner and lighter than Apple’s popular machine. The Mi also comes at a much more wallet-friendly price: 4,999 yuan or about $750 for the 13.3-inch model. The 12.5-inch Mi Notebook Air’s components may not match those of its big brother, but the payoff is that it’s cheaper, slimmer, and lighter. Thaks to the Intel Core M3 CPU, 4GB RAM, 128GB SATA SSD (expandable with the spare PCIe slot), lack of dedicated GPU, and single USB 3.0 port, this model is just 12.9mm thick, weighs 1.07kg, and costs 3,499 yuan or about $525. Additionally, the battery life will last 2 hours longer in this smaller version. Both laptops come with 1080p displays, backlit keyboards, 1MP webcams, USB Type-C charging ports, and have no visible external logos. They’ll be available in both gold and silver metallic finishes. The Mi Notebook Air will launch in China on August 2. Xaiomi hasn’t said when or if it will be available globally, but the company is known to have its eye on the US market.